Our range of products include living room and living room interior. Modern living room : Whether you’re enjoying family game night or entertaining guests during a party, there is no better place to congregate with family and friends than the living room or family room. True to its name, it's the space where you and your family truly live; you watch movies, read stories, roughhouse and maybe get some homework done. As the focal point of the home, it’s meant to be comfortable, with a cozy fireplace, practical furniture, fully stocked bookshelves and, of course, a nice big-screen TV. Because it's where we spend most of our time, it is important to truly love and be inspired by your space. 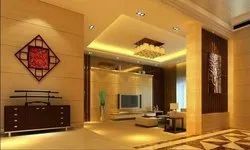 i hope you like these Living Room Interior ideas.